Milestone post is one of many convenient ways to post something while not actually posting anything. No wonder people do this all the time. Nevertheless, I’ll try my best to make this post as productive as possible. Obviously, I have just arrived at my 100K hits milestone. This hit count started on July, 2009 when I moved my old (and very quiet) blog from BlogSpot to WordPress. I was very surprised at how long it took me to reach this spot. But then again, my blog traffic was never extravagant and I have the Aniblog Tourney, THAT Anime Blog, Rabbit Poets and many other friends to thank for more public exposure. Glo will probably reach 400K in a few weeks followed closely by Klux. Yi must have surpassed a million hits by now. In short, the number is not big or even matter. What I really need is a cerebration. Just to make this post a little more substantial, I would also ask for your opinion on my blog. This is something I have been meaning to do but never got a good chance to do. What do you think my blog still need? Do I need more editorials or do I need more real-time anime review. Do I need episodic post? But you know that’s not going to happen. Do I need better design or my own mascot? I did consider many ideas on changes and upgrades for this blog. One of them was inviting guest writers. Many other bloggers did that to varying results. There were just too many possible options for me so I’ll just put them on a poll and let you decide. I never used polls before. What a shock. Some of you regular visitors may recall that I said I would do many things. I did most of them already but there are still things I have not done. I need to remind myself to keep those promises. Here’s the list of the said promises with the links back to where I made them. This entry was posted in Articles, Talks and tagged 100K hits, anime, anime blogger, blogger. Bookmark the permalink. It’s strange that some anime gave me urge to write immediately while some anime, while very good, needed sometime to settled in my mind. Thus, the delayed reviews. I’ve been pretty fucked up with life at the moment thus my blog has not been my priority for the past month. I’m glad that it remained MY personal blog without having to worry about not having a post everyday etc or my visitors kinda deteriorate because of it, otherwise the pressure would have made my life more stressful. So I guess what I’m trying to say is, just do what your heart feels like doing so you won’t be burdened by it. Writing an editorial is nice but if you try too hard it would seems forced. It’s not really a bad thing to write about the latest anime though. At least that will help out with the search. As for your question.. honestly imo this blog doesn’t need more of anything, it’s fun enough just coming and reading whatever you feel like posting about. The one thing that the blogosphere doesn’t need is more episodic reviews >__< there's too many blogs already doing that~ A new blog design sounds like a good idea! 400K in a few weeks!? I WISH. I just reached 300. Congrats on 100 though it’s smooth sailing as this blog will now explode with a large excess of hits and comments!!! Blog’s awesome regardless. One of my favorites…..let’s see where I rank you actually…..
5th! And that’s damn good! Just keep doing what you are doing. Writing more probably helps draw more visitors, but you have decide if it’s worth the extra effort. Blogging shouldn’t feel like a chore. Thanks! Writing a lot is hard and writing a lot of good stuffs is the hardest. Congrats dude! I like the style of your blog so keep it up. Don’t try to fix what isn’t broken. I was going to congratulate you earlier today, but you’re blocked at the Brooklyn Supreme Court for some reason. Surprisingly, I am not. Articles are the most fun to write when circumstances and moods are right. They pops up irregularly but always very passionate and interesting to me. 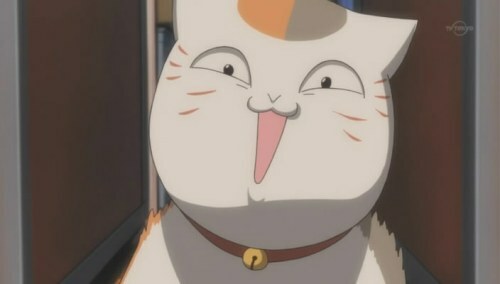 Oh, I would love to have Nyanko-sensei as my mascot. Fat Cat are the best! …But will I get into trouble with copyright lawsuit? Congratulations on reaching the milestone! I feel so tiny, haha. Anyway, I voted for more up-to-date anime reviews. I think newer anime will always be more relevant than older in this rapidly moving industry. So with the exception of classics and hidden old gems, I tend not to care too much for old school anime. I voted for an anime music post. Mostly because I would be quite intrigued to see what a music post from you would look like. My second pick would be to keep doing what you’re doing out there in the reviewing arena. Congrats on hitting that milestone! Hahahaha I definitely agree. That and the”Merry Christmas/Happy New Year/Happy V-day, etc…” post with a single holiday themed image seem like filler (although well-wished filler). But anyway I have to say I REALLY don’t follow blogs where there are episode to episode reviews. I watch anime marathon style, I can’t stand to wait and watch 1 episode a week. So even though I may like and respect certain bloggers, once their blogs turn to single episode posts I have no choice but to back away. Either that or I spoil plot for myself. But that’s just me and everyone should run their own blog how they want to. It’s their hobby after all. VERY true, I have a hard time commenting on posts on certain series I don’t feel particularly motivated by (one way or the other). But something like this is easy to chat about. I voted for more up-to-date reviews, but I also think you do a good job as is. Haven’t taken a look through your pre-wordpress archives, but I wonder if you’ve noticed a change in your style/personality/expressiveness over time. Never hurts to evaluate yourself. And you are right. Editorials which asked questions to the readers usually gets more attention and discussions. Belated congratulations for your milestone:) Hope to you will post another one like this for 500K and 1MM viewings soon! I do like a lot of your non-review articles (gateway anime / makurokurosuke) so more of that definitely would be good in my book. Just keep writing. I think your personal voice and friendly articles are the key to your success. Perhaps you should consider writing about y0ur favorite manga/anime directors, writers, illustrators, or animation studios.